Earlier this year, the New Jersey Supreme Court ruled that in an employment discrimination lawsuit the employee’s treating physician can offer medical opinions relating to the medical treatment without having to be designated an expert witness. Patricia Delvecchio worked for the Township of Bridgewater as a police dispatcher. Ms. Delvecchio suffers from irritable bowel syndrome (“IBS”). She claims her IBS is a disability which Bridgewater failed to accommodate, in violation of the New Jersey Law Against Discrimination (“LAD”). Specifically, she asked the department not to require her to work the night shift because doing so exacerbated her IBS. The town refused, claiming doing so would impose an undue hardship since it would have to require other dispatchers to work the night shift more frequently. Bridgewater also denied Ms. Delvecchio’s requests to take an extended sick leave. Eventually, the Township asked Ms. Delvecchio to resign. Ms. Delvecchio refused, and instead accepted a job as a records clerk, a position with a lower salary than her previous job as a police dispatcher. Ultimately, Bridgewater fired Ms. Delvecchio for “neglect of duty” and “chronic/excessive absenteeism” because she had exceeded her allotment of sick leave. Ms. Delvecchio filed a lawsuit alleging, among other claims, that Bridgewater discriminated against her because of her disability and failed to provide her a reasonable accommodation for her disability in violation of the LAD. 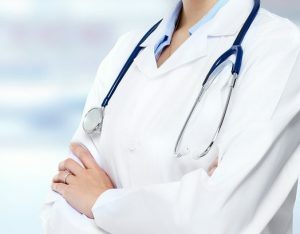 During the subsequent trial, the judge allowed Ms. Delvecchio gastroenterologist, Gary Ciambotti, M.D., to testify about the notes he wrote to support her requests for reasonable accommodations. However, the judge prohibited Dr. Ciambotti from testifying about the nature of her IBS. The judge also prohibited Ms. Delvecchio’s treating psychiatrist, Dr. Joseph Rochford, from testifying about the anxiety and panic attacks she alleges she experienced as a result of Bridgewater’s refusal to accommodate her disability. Not surprisingly, without supporting medical testimony the jury found Ms. Delvecchio did not prove she had a disability that prevented her from working the night shift. Ms. Delvecchio appealed, and the Appellate Division reversed. I previously wrote about the Appellate Division’s opinion in my article: No Expert Report Required for Doctor to Testify About Employee’s Disability. The Court made it clear it was critical to its ruling that, during the discovery phase of the litigation Ms. Delvecchio had disclosed the reasons she intended to call Dr. Ciambotti and Dr. Rochford as witnesses at trial. It also made it clear that a party who intends to use a treating physician to offer a medical opinion is required to provide some form of a report summarizing the basis of his or her opinion during discovery, but did not decide whether such a report needs to be formal or an informal summary of the basis of the relevant opinion would suffice. Finally, the Court recognized that if the trial had not placed these improper limitations on Dr. Ciambotti’s testimony, the jury might have found that Ms. Delvecchio’s IBS prevented her from working the evening shift. Accordingly, it remanded the case for a new trial.